Amir Khan has hit back at Carl Froch after the former super middleweight champion claimed the Bolton boxer only came back for the money. Froch made the comments after Khan called out Manny Pacquiao, labelling him his “number one pick”, after his 12-round points decision victory over Samuel Vargas 29-4-2 (14) on the weekend. The 31-year-old welterweight appeared lukewarm on the prospect of an all-British showdown with domestic rival Kell Brook 37-2 (26). “Listen, on a serious note, I’ve got more money than Carl Froch,” Khan, 33-4 (20), told iFL TV. “And that’s a serious note mate. I’m telling you, I’ve made a lot more money than him. I’ve been very successful in the sport of boxing. I’m not coming back for the pay cheque. Eddie Hearn, who promotes both Khan and Brook, said a fight between the two had to be made “now or never”. 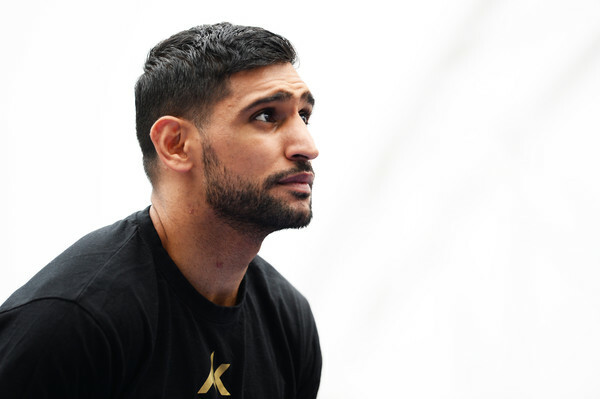 “If it was all about a pay cheque, I would have probably taken the Kell Brook fight straight away because I know that’s a massive pay cheque,” continued Khan. Khan dominated Vargas at Arena Birmingham on Saturday night but he didn’t have it all his own way. The Colombian-born, Canadian-based fringe contender dropped him late in the second round with an overhand right and finished strongly in the final round as he sought the fight winning knockout. It was Khan’s first real hit-out since his sixth round stoppage loss to Saul ‘Canelo’ Alvarez 49-1-2 (34) in a 155-pound catchweight bout in May 2016. Khan returned to the ring in April this year, but his 39 second blowout of overmatched Phil Lo Greco did little to prove how much he has left in the tank.